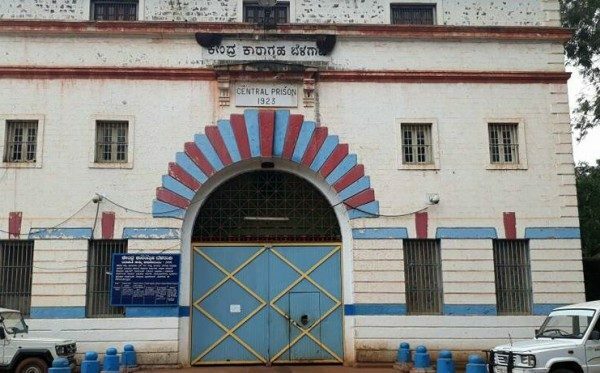 The Deccan Chronicle has posted this very interesting story, which states Belagavi’s Hindalga prison a group of convicted prisoners in barrack-I is currently using at least five to six mobile phones regularly without fear of the police or jail authorities, and even lends them to other prisoners for a hefty sum, according to sources. Well its not new about mobiles and other goods to be found inside jail, but this time around Two of the phones are presently hidden in a big hole in the stone wall behind a portrait in the barrack. The Deccan Chronicle story further mentions, “Some of the mobile phones are secretly stuffed behind portraits hanging inside the barrack. Two of the phones are presently hidden in a big hole in the stone wall behind a portrait in the barrack. After stuffing the phones inside, the inmates pack the hole with wax and later hang the portrait over it to ensure that none of the guards or police officers find them,” explain prison sources. The phones are allegedly coming in handy for several inmates from different states to be in touch with their network of criminals and families. A trio jailed for a Bitcoin scam recently has been reportedly using the mobile phones in the barrack for a huge fee. “The phones are used through the day until the barrack closes at 7 pm. They are used despite the CCTVs inside. The prisoners are aware of the timings of the phone-jammer and make phone calls when it is not on. The Prison Department has miserably failed to stop the use of phones, drugs and alcohol inside the jail despite conducting a number of raids over the last few years. Mobile phones and SIM cards have been found on several occasions with inmates during raids conducted by senior police officers in the past. A notorious sharpshooter from Chota Rajan’s gang, Yousuf Bachkana was using mobile phone from inside Hindalga prison for several weeks until the ATI police from Mumbai tracked one of his calls,” recall sources. Very pertinent question asked by Mr. Madhav G ………. How do they charge the phones and where? This theory seems too far fetched.